The Sketch showroom displays world class multi-brand interior products and accessories which include furnishing products, customized furniture, modular kitchens, designer crockery sets, sleeping and bath accessories, decorative elements and much more. “Sketch specializes in interior concepts, space planning, sales and execution. It offers trendy interior concepts that match your mind and budget with contemporary and aesthetic styles that reflect our customer’s personality. It is the first of its kind showroom in Kochi which has all accessories and products on display,” Mr. Ramanand said. “Sketch is also into projects of any magnitude on turnkey basis and consultancy service. On the execution part, the ultimate facilities in terms of all resource s- men, machine and technology - are strategically organized here to achieve the best as per our customer’s need,” he added. 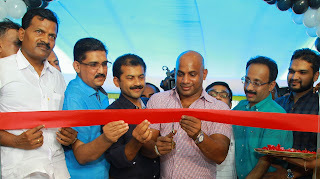 The company’s first showroom with an area of 13,000 sq ft is at NH 17 Bypass, Palazhi Junction in Kozhikode.